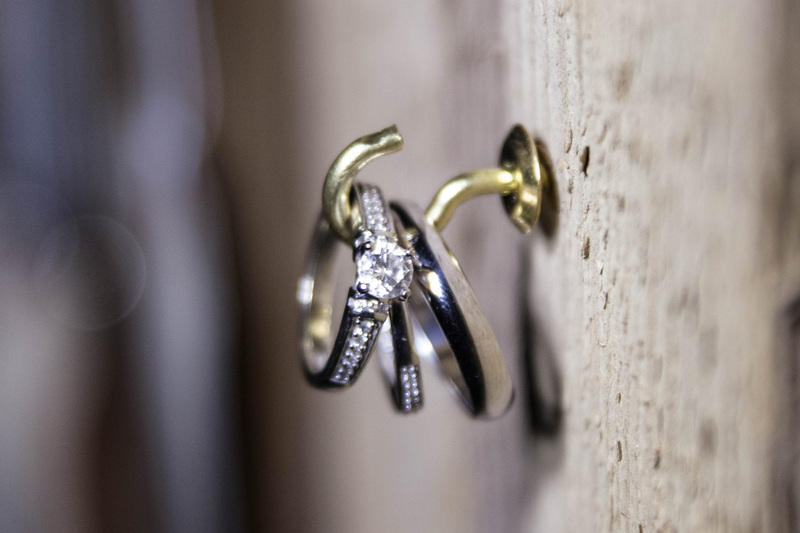 What Is the Inspiration of Your Wedding Ring? Have you ever wondered why the wedding ring is worn on your left hand? Why the 4th finger? Why it is made of gold? Have you ever thought more profoundly than the point of “I just get a diamond”? The commercialization of weddings over the years have dampened the real significance of what a wedding, and ultimately what a marriage is. Rings have been decorative since maybe even in the early Egyptian culture as an ornament for women. Today it is a billion dollar industry and many really don’t why they wear the rings. Even the Egyptians knew the circle was a symbol of eternity, with no beginning and no end. The center (opening) was not without a point as well. It was considered a portal to an undiscovered future. When a man gave his wife the ring, he was signifying “never ending” and “immortal” love. They even experimented with materials to fabricate the rings. They used leather, bone, ivory, bronze, silver, and gold. 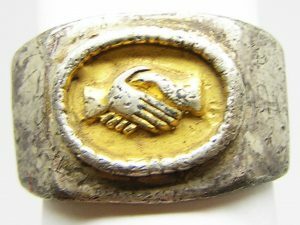 Ultimately the more expensive the material, the more their love was shown, thus the material of the ring demonstrated the wealth of the giver. 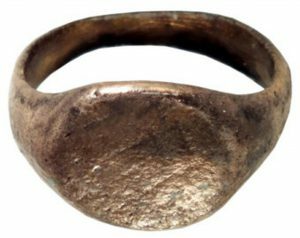 The Romans used iron to make their rings as a symbol of strength. Early on, the Romans laid “claim” to their woman. The iron represented strength and permanence. The Romans also were the first the engrave the rings. In the 9th century, Christians started using the ring in marriage ceremonies. 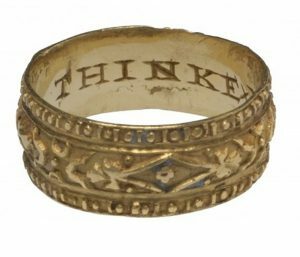 Typically it was highly decorative, but because too much decoration was not supported by the church as too heathenistic, they simplified the ring into a smooth band. The finger on which the ring was worn has developed over the centuries as well. It has been worn on all fingers, including the thumb at various times. They’ve been worn on both hands at times as well. Eventually it settled on the left hand ring finger, adopted by the Romans, as the finger which had a vein that ran closest to the heart. They called it the “Vena Amoris”, or the “Vein of Love”. Whether true or not, many regard this as the reason rings are worn on that finger. Over the years, there have been many variances in the rings. The first known engagement ring was initiated in the 15th century by King Maximilian I of Germany. In many countries, the marriage symbols is unique and is worn on the right hand rather than the left. In many Jewish ceremonies the index finger is the finger of choice. With all that being said, the ring truly is a symbol of the partnership between a husband and wife. Your own wedding has its own uniqueness. If you live in America, the finger choice is the left ring finger. It helps others in this country notice you are married. It would be confusing to many to see your ring worn on another finger. In today’s world of active people, you can purchase silicon and ceramic rings from Qalo.com. In future blogs, I may share the tradition of the garter and bouquet toss.